When I was young, I recall watching Japan travel shows on TV and have always dreamed of going to Hakkaido one day because of how beautiful it is and especially during the winter season with all the snow scenery. I imagined that it would be so romantic and beautiful just like in the Asian dramas that I watch. Although I actually didn't go to Hokkaido in the winter season and went during spring instead. I took a one day trip to Otaru city which is not far away from Sapporo to visit the music box museums there and I am sooooo in love with the place. 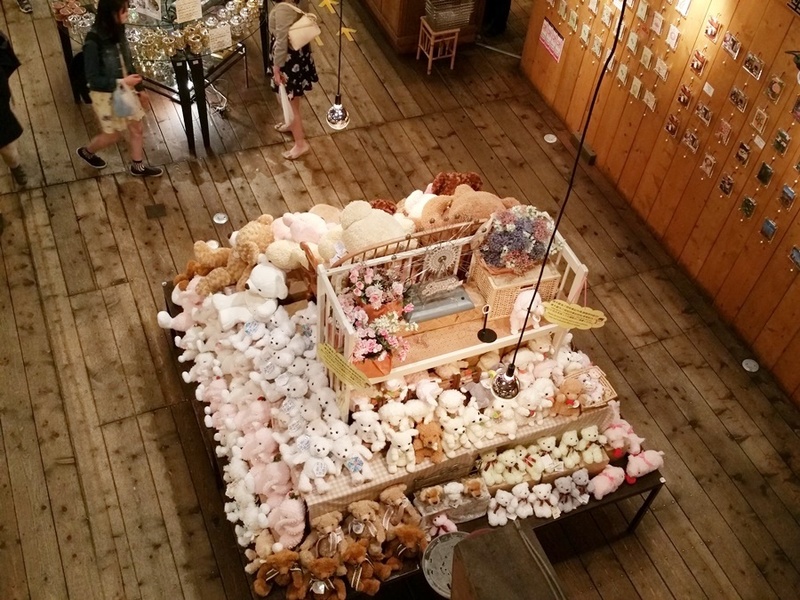 There are actually 6 different music box museums that you can visit on the Sakaimachi street in Otaru and they are conveniently located close by in the same area so you can visit all of them in one day. This is the main building of the Otaru Music Box Museum. There is an antique Steam Clock Tower located right outside of the main building and it is made by a Canadian clock maker Raymond Sounders in the same fashion as the clock built in 1977 in Vancouver's Gas Town. It is a gift from Vancouver to Otaru and is a well-known symbol of the city. The clock chimes on the hour and steams come out from the top of the tower and the steam chimes also play a five-tone melody every 15 minutes. The interior design of the main building is made out of wood including the floors giving it this very antique atmosphere with a big selection of music boxes to choose from, including glass music boxes that are unique to Otaru. There are many tables with music boxes of different themes and styles. My favourite one is the most popular one with the iconic metal flying airplane that spins and the big ferris wheel. Super cute and unique Japanese style music boxes with the Japanese favourite lucky cats and owls. And these elegant glass style ones would make the perfect souvenir gift! But my 2nd favourite would have to be the section of the music box collections of the most popular and famous melodies from Japanese classics and movies, children's songs, animation, disney and even some popular old English western music songs too. You can listen to the melodies and choose which one you want to buy. Do you spot any of your favourite music songs? There are soooooo many that I wanted to buy but in the end I settled with the theme song of My Neighbour Totoro and Otsuka Ai's Planetarium. There is even a special table section dedicated to ARASHI with ARASHI's most popular songs! There is also a music CD collection of the original sound tracks of some of the most popular Japanese singers as well as special music box versions that is only sold at the music box museum. And lastly there are these super cute and expensive Mickey and Minnie special collection that I would love to buy and display at home if I had the money to, lol. How to get to Otaru Music Box Museum: From Sapporo station, you can either take the Airport Express train bound for Otaru or take the Ishikari-Liner for Otaru and get off at Minami-Otaru station and then walk in the direction of the harbor for about 5 minutes.